Ultimate high performance zoom Lens. 4K+ Premier Zoom series has wide to telephoto long, original 4 zoom lenses line-up. HK3.1x14.5 14.5-45mm T2.0 covers unlimited focal lengths in a range where primes previously were the rule. This lens works like a high-end Prime when dealing with distortion, chromatic aberration, and all the tough challenges of wide angle lens design. MTF and resolution is stellar from the center to the corners, without shading or fall-off. This is the most expensive, yet most compact of the four Premiers. HK4.7x18 18-85mm T2.0 zoom is an all-purpose zoom encompassing the most used focal length range for the majority of dramatic studio and location scenes. 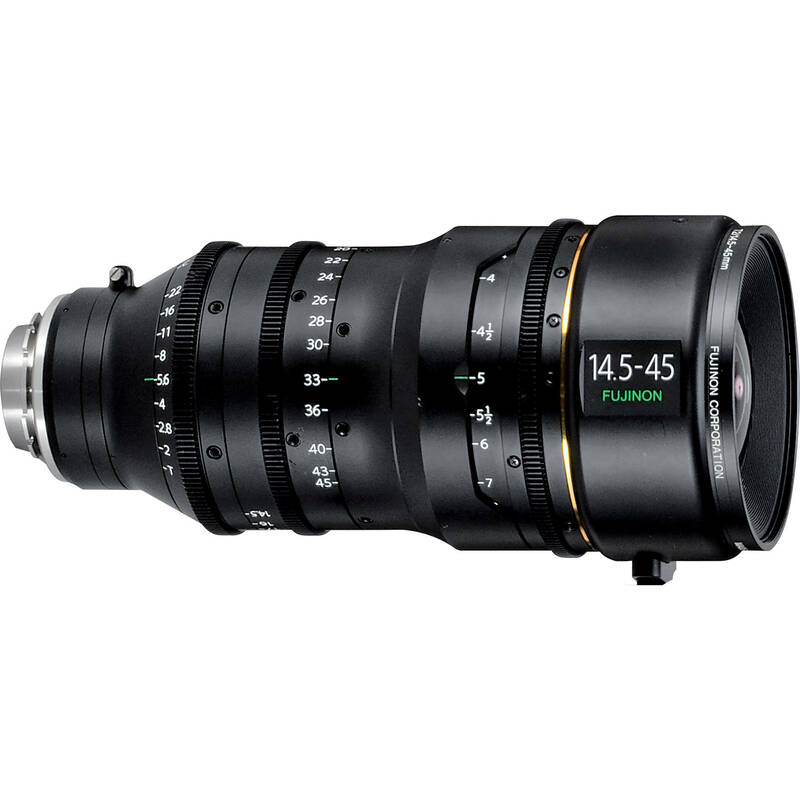 Fujinon HK Premier Zooms are designed for the highest performance cameras. They exhibit minimal breathing when focusing. Image quality is consistent and repeatable. Coatings and elements of all lenses are consistently color matched. The 280 degree focus barrel rotation ensures an expanded focus scale, with accurate and consistent marks. HK7.5x24 24-180mm T2.6 is the high-quality general purpose member of the family of four 4K+ PL Cine zoom lenses. Identified by their gold band, Fujinon Premier PL 4K+ lenses consistently match each other superbly for focus, iris, zoom, color, contrast, and performance. HK5.3x75 75-400mm T2.8-3.8 Zoom when they need to cover a wide range from medium focal length to long telephoto. This is an important lens for sports, cars, action, wildlife, commercials, exteriors, compression shots, slowmotion, and other situations where you want a long lens, with a fast aperture, in a small and light body. It eliminates lots of scrambling to change lenses at magic hour.